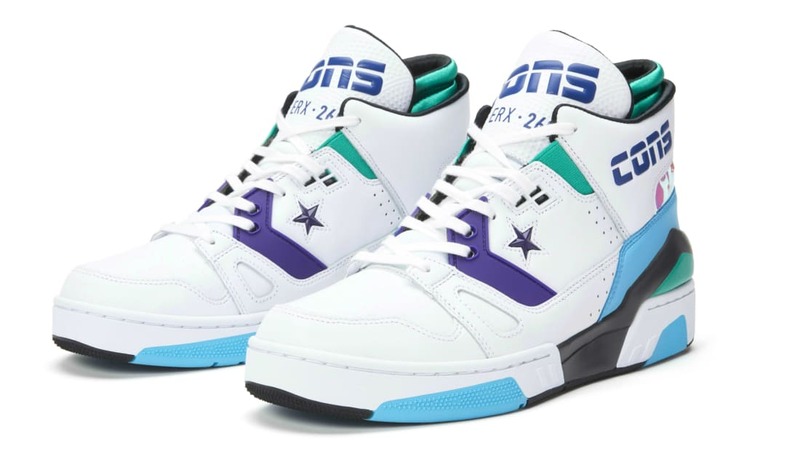 Inspired by the NBA Charlotte Hornets team, the Don C x Converse ERX 260 Jewel will feature white leather upper that's accented by teal and purple hits throughout. Additional details include Iridescent panels seen on the ankle collar with a jewel star on the sides and a large "Cons" branding on the tongue and lateral ankle. Release date is Feb. 16, 2019 at a retail price of $110.